Every January the wonderful Brontë Parsonage Museum in Haworth refreshes its displays and chooses a new theme for the year. 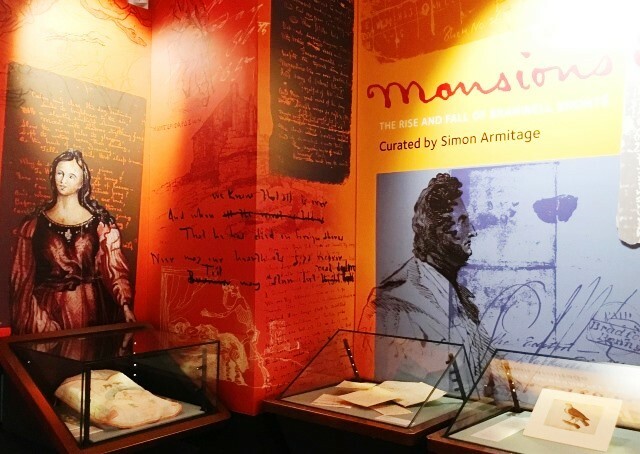 As 2017 marks the 200th anniversary of the birth of Branwell Brontë, it’s fitting that he should be this year’s prime focus – and new exhibition Mansions In The Sky certainly doesn’t disappoint. Don’t worry though, there’s still room for Anne Brontë in the displays! The opening months of this year have seen me so busy on writing projects (Brontë related of course) that this week marked the first opportunity I had to visit the Parsonage in 2017. As always, it was a complete pleasure akin to returning home or to meeting old friends again. 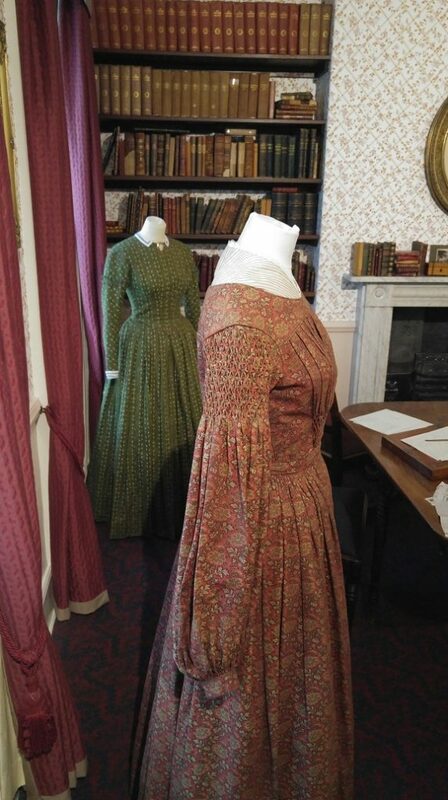 Alongside the Branwell items and features, costumes and props from the 2016 BBC drama To Walk Invisible feature strongly. I absolutely loved the drama (although I could have done with another episode or it being a little longer, as the ending seemed rushed) so it was fascinating to see the costumes up close. I was especially interested, of course, in the green dress that Charlie Murphy wore when playing Anne, and it was on display in the dining room next to Emily’s dress from the show. I felt this juxtaposition of the old and new worked well. 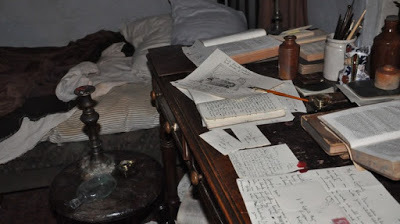 One of this year’s highlights is a recreation of Branwell’s studio. The room is in semi darkness with fading painted walls and scuffed floors (don’t worry, that’s intentional). Newspapers such as the Halifax Guardian and Leeds Intelligencer are scattered around along with books, Branwell’s sketches, and bottles and paraphernalia that give a hint of Branwell’s opium addiction. In the corner is a bed with blankets strewn haphazardly across it. It’s very atmospheric, and gives you a glimpse into the mind of the tormented, overshadowed and ultimately tragic man. A picture of her beloved spaniel Flossy is also on display, but it’s not the one you may be familiar with. 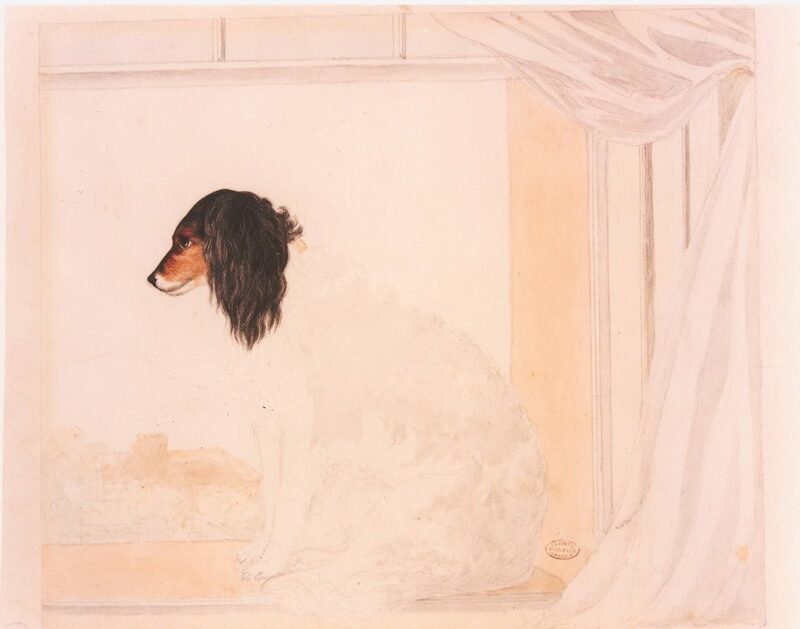 Anne made two unfinished pictures of Flossy, one is almost finished and is often on display, but this year they show Anne’s rarely seen and less finished portrait of the dog she adored. Anne never needed this faith more than when she faced her own end, and one reminded of this is back for another year in the form of Anne’s blood splattered handkerchief. We also see a beautiful locket owned by Charlotte Brontë, contained within is a strand of Anne’s hair. Well done to Simon and the Brontë Parsonage Museum, who work so hard, for curating such an excellent exhibition. Whichever Brontë you like best you’ll find something to satisfy, and as it runs throughout 2017 there’s plenty of time to catch it.